Want to offer a chicken soup with an interesting twist? 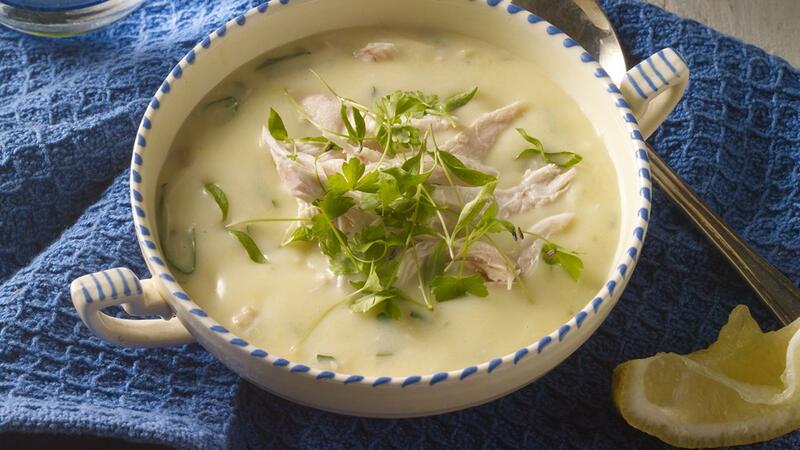 Try our Avgolemono recipe! The classic Greek egg and lemon chicken soup is perfect for your menu. Mix the egg with the lemon juice. Dice the chicken and add to the soup. Bring the soup to a simmer for 5 min. then remove from the heat and mix in the egg & lemon mix. Stir well. Pour the soup into serving bowls and garnish with the parsley.